07-May-2004 -- The visit was successful. We have visited this CP on the way to Republic Altai. The CP is near to road between settlements Celinnoe and Ovsyannikovo. 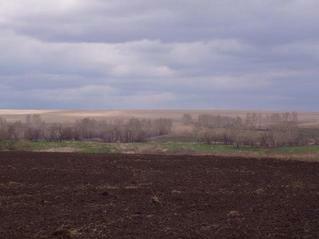 The point is on a ploughed field. On all sides only fields and nothing interesting is visible. #2: View from CP to the East. #3: View from CP to the South. #4: View from CP to the West. #6: It is necessary for us to go to the right.